I’ve been following the 21 day fix workout and meal plan and I’m thrilled to start bringing you my favorite 21 day fix recipes! 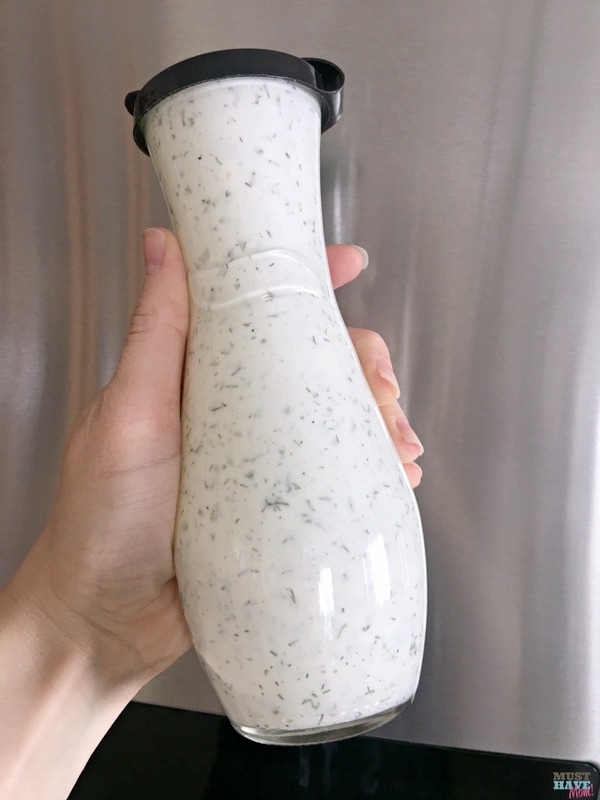 This 21 day fix ranch dressing recipe is a healthy homemade ranch that is better than any store bought ranch I’ve tasted! 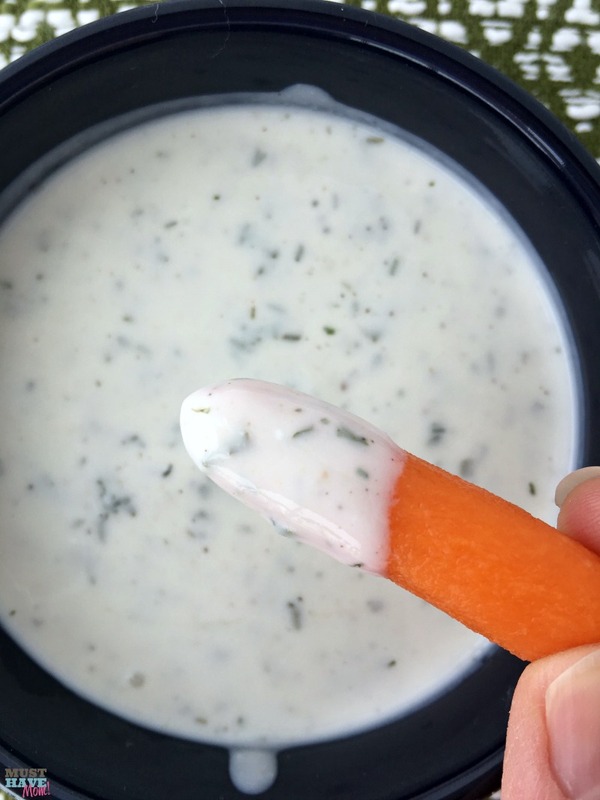 I couldn’t believe how flavorful this ranch dressing is and how healthy and easy it is to make! 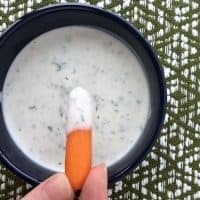 Whether you are on a diet, doing 21 day fix meal containers or you just want to make your own homemade ranch dressing that’s free of preservatives and chemicals, this ranch recipe is for you! What are 21 day fix recipes? I started doing the 21 day fix workouts and meal plan in an effort to lose weight and get in shape. If you aren’t familiar with 21 day fix it is a series of workouts you can do at home with DVD’s. They take just 30 minutes and I’ve already seen great results! I’m on round 2 and already have lost 4 pounds! A big thing in order to see great results is to follow the included meal plan. The meal plan couldn’t get much easier thanks to the easy to use container system which allows you to eat a set number of each color coded container per day. One thing I struggled with was salad dressing since I really only like ranch dressing. 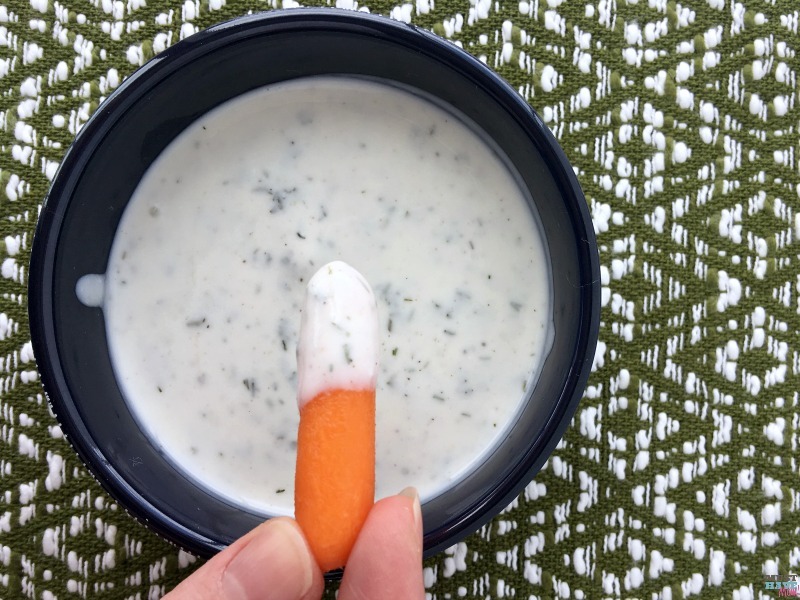 I found this 21 day fix ranch dressing recipe which is so healthy that 2 tablespoons only count as 1/2 an orange container! Score! Even better is that it tastes even BETTER than my store bought ranch and without the additives and preservatives. Double score!! Want to start 21 Day Fix and get on the path to losing weight and having so much more energy?? Sign up for Beachbody and order 21 day fix now! Need to get on the 21 Day Fix meal plan? Grab the new Fixate cookbook and color coded containers! Keep reading for my 21 day fix recipes! Today I’m focusing on 21 day fix recipes for ranch dressing! 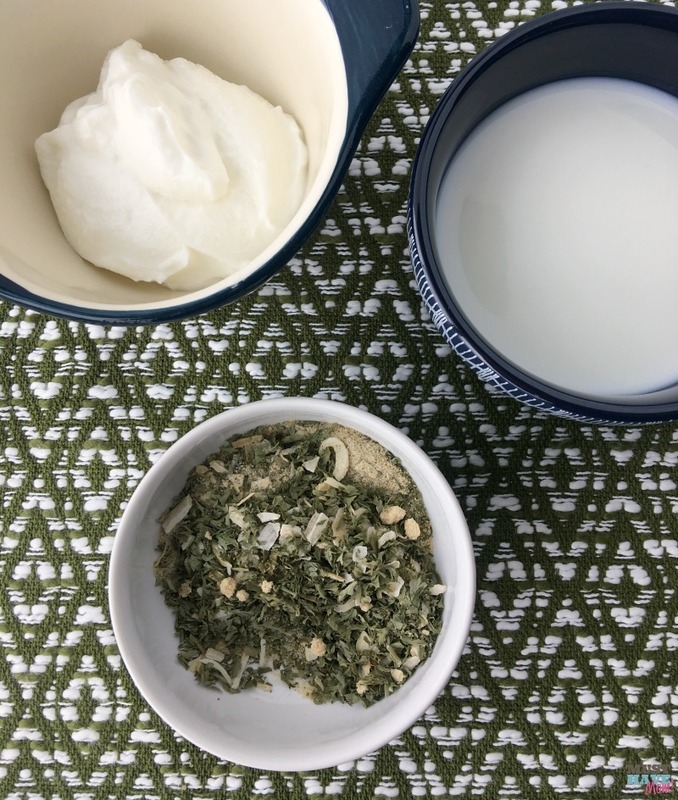 This recipe is great because it allows you to mix up your spices and store them in an airtight container so you can whip up a batch of ranch anytime, in mere minutes. 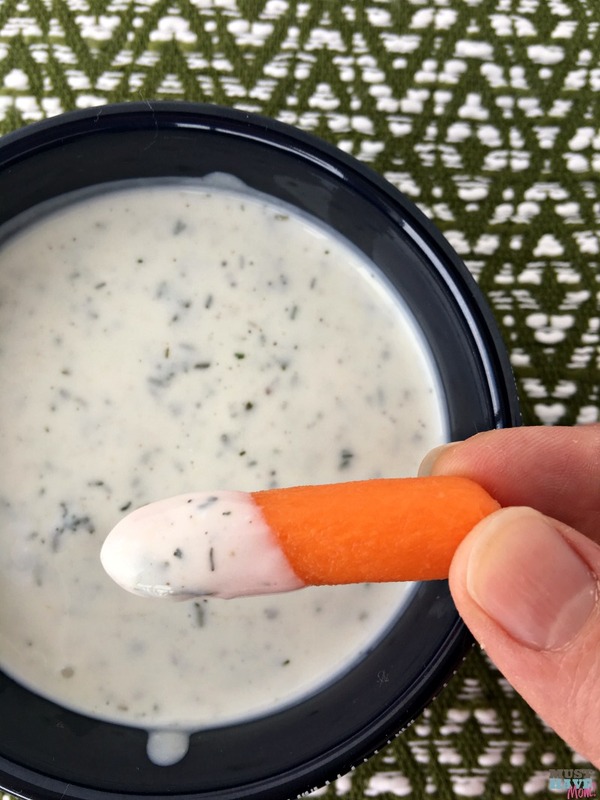 To make the 21 day fix ranch dressing, combine 1 tablespoon of the spice mix with 1/3 cup nonfat plain Greek yogurt and 1/3 cup low-fat buttermilk. I like to put all of my ingredients into a glass salad dressing shaker bottle. Then jus shake it up! If you don’t have a dressing bottle then just mix in a bowl. You’ll be amazed when you bite into this and the flavor explodes in your mouth. It’s delicious!! Serve it on salads, sandwiches, for dipping vegetables, with buffalo wings, anywhere you’d use ranch dressing! Keep in the fridge. This is one of my favorite 21 day fix recipes and I’d gladly eat it whether I was trying to shed pounds or not! Store your remaining spice mix in an airtight container. I added a label to mine so I can easily reference the recipe whenever I need to mix up some more! I had several friends and family members who aren’t on the 21 day fix meal plan give this ranch dressing a taste. They couldn’t believe the amazing flavor! It’s a sure winner and you’ll definitely want to pin this post for easy finding later or share it on Facebook so your friends can give it a try too! 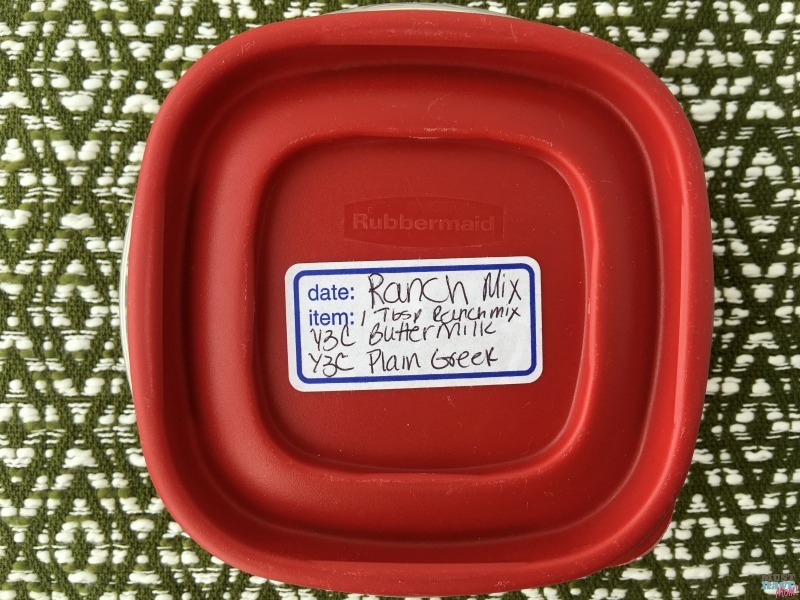 21 day fix ranch recipe! Healthy, homemade ranch dressing that tastes better than any store bought version! In a bowl mix together all spices for the ranch seasoning blend. Store in an airtight container. To make ranch dressing mix together 1/3 cup nonfat plain Greek yogurt, 1/2 cup low-fat buttermilk and 1 tablespoon ranch seasoning blend. Stir together in a bowl or put all ingredients in a salad cruet and shake. Store in the fridge. 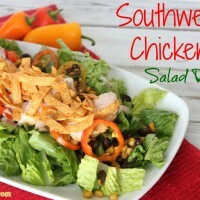 Serve over salads, with vegetables, on sandwiches, with buffalo wings and more! *for 21 day fix meal plan 2 tablespoons counts as 1/2 orange container. 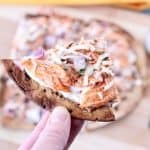 Don’t forget to share this 21 day fix ranch dressing recipe with your friends and check back or subscribe to my email newsletter to get more free 21 day fix recipes delivered right to your inbox! 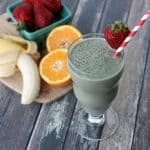 Energize Greens Tropical Smoothie Recipe – The Green Smoothie That Doesn’t TASTE Green! I love a homemade recipe that’s flavorful – none of those weird ingredients. And I bet this tastes so fresh compared to bottled stuff. Pinning this for later. I love ranch dressing especially when it is homemade ranch dressing. Will definitely try this recipe. Thank you for sharing. Let me know what you think Kimberly! I love Ranch dressing. I really like that this is a healthier recipe and would love to try it! How long is it good for after you make it? How long can you sore it in the fridge? After you make it, it is good in the fridge for 7 to 10 days. where do I find the Ranch seasoning blend? Elizabeth, for this recipe you will make your own. This is a really delicious Ranch Dressing Recipe that I want to try. It really looks delicious and betting than they stores brands. Thanks for sharing! Thank you so much for this recipe! I made it today for the first time, and it is absolutely fabulous. And so easy to make! I too struggle with salad dressings. This solves the problem, and will be my go-to dressing from now on. How do you make the buttermilk if you don’t have any on hand? I know you can make it for a cup but I only need 1/3 of a cup. Thanks! Honestly, I’m not sure of the ratios for only 1/3 of a cup. But if you make your own, it is not as thick and creamy as real buttermilk and may not work as well for this recipe. Why do you count this as half orange? I was wondering the same thing. 2 Tbs of dressing should be 1 orange container. Does this recipe only make one serving? how much ingredients do you use to make the big bottle you have pictured? I double it to make a full bottle.